Summer is a long-waited-for event, but can also be a long dragged-out process at times. The lazy, hazy days of summer can sometimes turn into the “how many days before school starts” blues. There are only so many pool parties, play dates, and beach days before the kids become bored and you get overwhelmed trying to balance work with play. There are a few ways you can help your kids overcome boredom with a little creativity and a lot of enthusiasm. 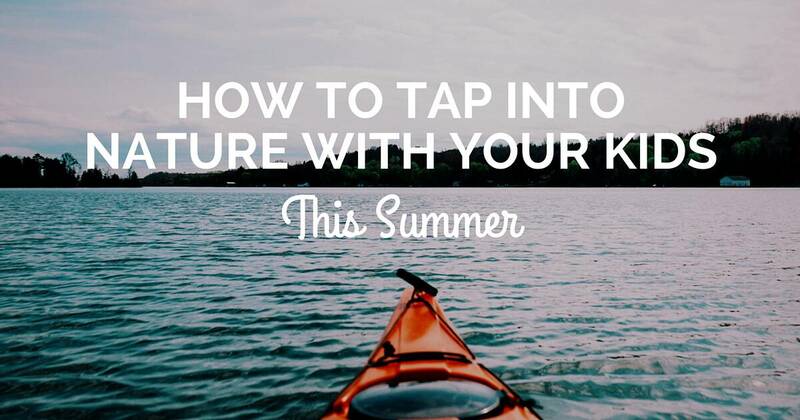 Tapping into nature with your kids over summer is a sure-fire way to keep some of the “I’m bored!” blues at bay. Try signing up for a nature-based “mommy and me” class this summer. You may think that your children are not interested until you get there and explore all that nature has to offer. Many nature preserves provide daytime programs for younger children, as well as night-time hikes through the woodlands to listen to the sounds of nature. Demonstrations, animal shows, arts and crafts, book readings and all sorts of animal-related activities take place at a nature preserve. Being cooped up all winter means letting loose during summer. The animals probably feel the same way, too. Bringing your children to the petting zoo or an actual working farm is a great way to get in touch with nature. Some farms give you the opportunity to participate in feeding the animals and learn about them during a visit. Just about every area has a butterfly exhibit or a butterfly house. Look to see where the closest one is to your hometown and explore away. Butterflies are amazing creatures and come in so many shapes and sizes. Look for a butterfly exhibit in unusual places as well. For example, in one town there is a mansion that belonged to the Vanderbilt family, which has a lovely butterfly exhibit within. If you have never been camping, you are certainly missing out on a big treat. If you wish to start small, there are so many ways to begin. Many towns offer camping on their beaches for a minimal fee. You can pitch a tent, have bathrooms and showers close by, and even choose to be a short driving distance to home in case it isn’t working. The chances are that if you are camping on the beach, you will want to make this an annual escape from home. You can start off by camping under the stars in your backyard to get the full effect of what camping may feel like and what you may need on a real camping trip. To add to the camping fun, there are long walks along nature trails, hiking, beach combing for sea treasures and even horse-back riding. These are all wonderfully adventurous ways to get close to nature over summer.